Our Award Winning Outdoor Living Pod™ has revolutionised how people use their outdoor space since its launch over 6 years ago. 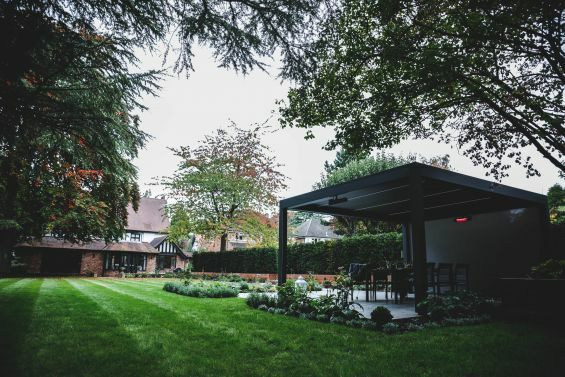 Featuring its innovative opening and closing louvered aluminium roof along with sliding side panels, the Outdoor Living Pod™ adapts to the ambient conditions allowing you to take control the of the weather all year round, enabling year round use of the outdoor space, come sun, wind, rain or even snow. 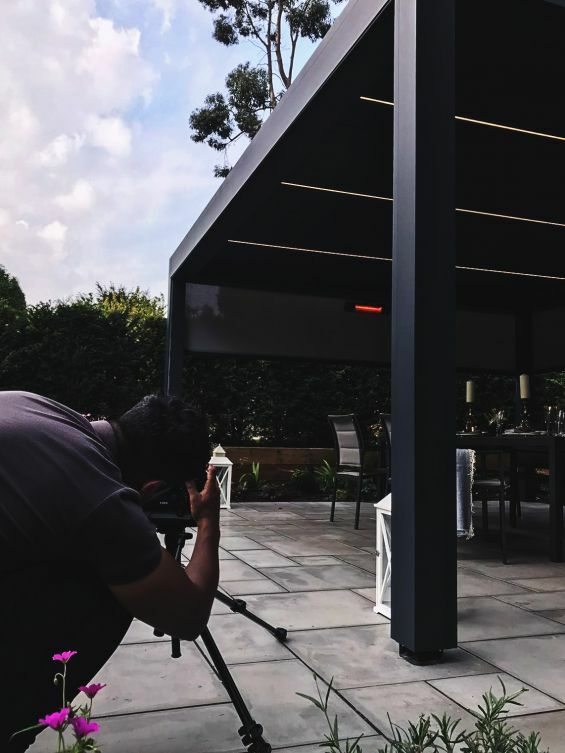 To help envisage life under a luxurious Outdoor Living Pod™ outside of the typical Summer outdoor living months we’ve been organising a series of seasonal photoshoots that will help to capture the moment and spark the imagination. So here is Autumn…Autumn is a beautiful time of the year as the oranges and yellows create a warm and cosy feeling. 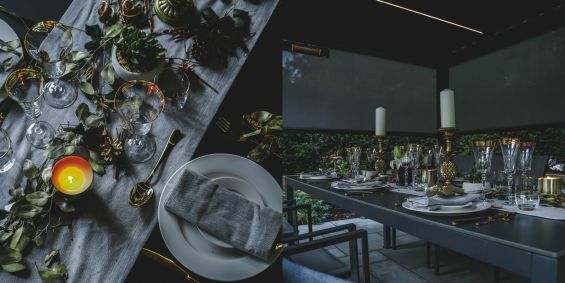 We wanted to show how you can use this colour theme to create a luxurious, inviting table setting beneath our contemporary Anthracite Grey weatherproof Outdoor Living Pod™. A table setting comprising decorated leaves and sticks fallen from the trees add a rustic charm whilst the gold cutlery and gold tipped glasses ooze elegance and style. Throws over the chairs add another texture and warmth to the setting whilst gold candlestick holders tie in with the golden glow from the infra-red heaters. 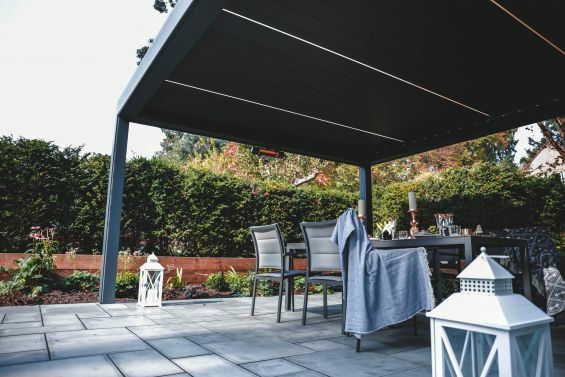 Outdoor alfresco dining has never looked so good under the weatherproof covering provided by an Outdoor Living Pod™ from Caribbean Blinds. 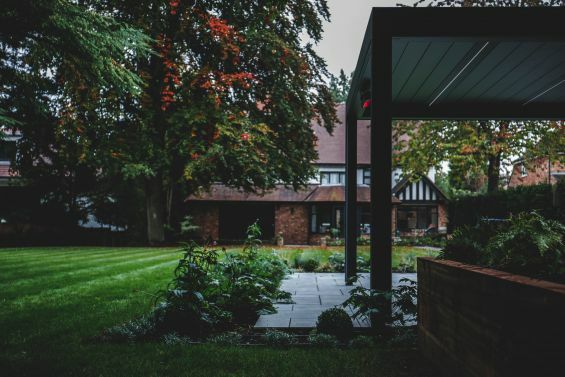 As we move through the seasons we’ll continue to inspire of the many styles, functions and uses of our adaptable Outdoor Living Pod™. And don’t miss out on our Autumn/Winter sale – now on…not only are you guaranteed some of the lowest prices of the year, you can also order now for installation in the New Year to beat the 2018 price increase. Find out more at cboutdoorliving.co.uk or contact one of our team on 0344 800 1947.